We built Baqend to solve the everyday pain points of agencies and developers, so that building amazing apps becomes a lot easier. A shop that loads below one second? And scores the maximum on Google Page Speed? Yes, that's possible. We built one for the TV show "Höhle der Löwen". We're working with best-in-class agencies for delivering better & faster applications to their customers in less time. The serverless approach of Baqend was a great technical fit. 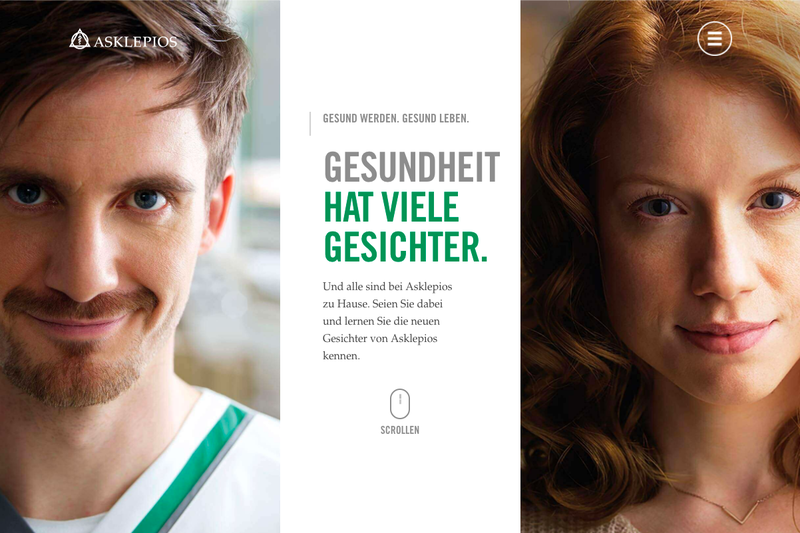 With 150+ hospitals and 46.000 highly educated employees Asklepios is one of the giants in the healthcare industry. Grabarz & Partner was contracted to use digital means to tap into the vast pool of creative minds working at Asklepios to present the sustainable and healthy future primal to the company’s culture. G&P used Baqend to create a fleet of applications perfectly tailored to the various audiences and concepts within the project. The powerful Baqend API allowed multiple frontend teams with heterogeneous requirements to set up the business logic and work securely on one data source. Even without dedicated backend developers and devops, the project exceeded the high expectations. Towel+ was the first spectacular success story created by Stryve. The founders recognized the poor usability of towels for the gym and specifically tailored them new. 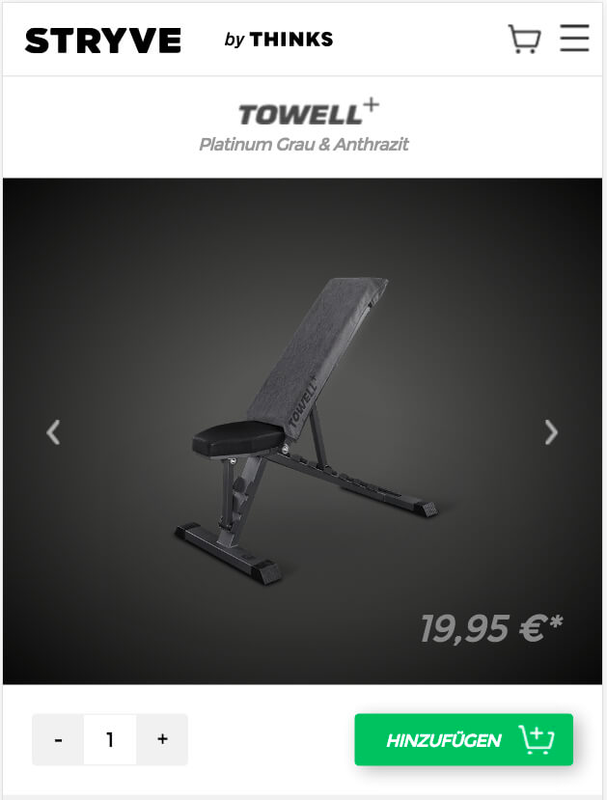 The fitness towel advanced to one of the biggest hits ever presented at the TV Show "Die Höhle der Löwen" (the German version of "Shark Tank"). The product not only drove the investors to fight for the stake but persuade millions of viewers to shop right from their couches. Luckily the inventors contracted Lemundo to build a shop ready to handle the rush. Building on Baqend, Lemundo delivered and had their part in the success. They were only given two weeks, but the platform allowed them to create the shop from the ground, without dreading the 3.4 million requests during the show. A shop, which achieved consistent page load times below one second and turned 7.8% of the visitors to paying customers. The conversion rate of our Baqend-based shop was 7.8% at 100K users in a couple of minutes. A platform for agencies building disruptive apps. We closely work together with agencies to deliver sophisticated development projects on time. We make sure that your applications deliver impressive performance. Contracts with availability SLA guarantees. Chat, phone, and email support & developer trainings. We scale, now matter how fast your project grows. Platform Enterprise works in customer data centers. We refer customers looking for Baqend-based apps to partner agencies. Learn how Baqend platform helps agencies & freelancers focus on the frontend and user experience in this PDF fact sheet.